Inside Out Mini Dab Rig w/dichro from Monkey Throw Poop Glass. 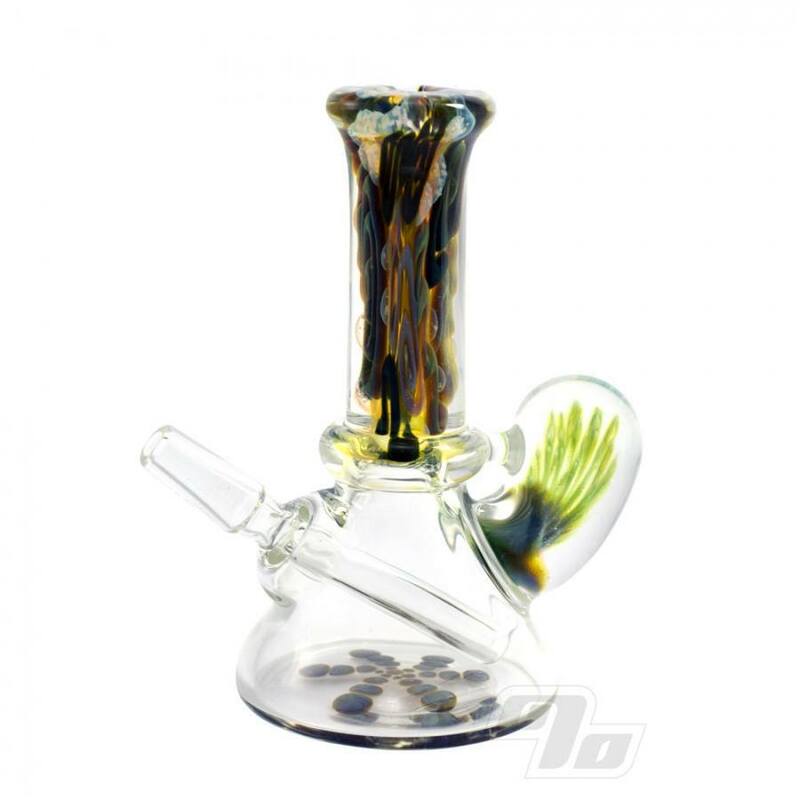 This one of a kind piece combines inside out neck with dichro accents, a massive pin implosion marble and worked bottom. 10mm fixed stem with polished joint. Can even be worn as a pendant. 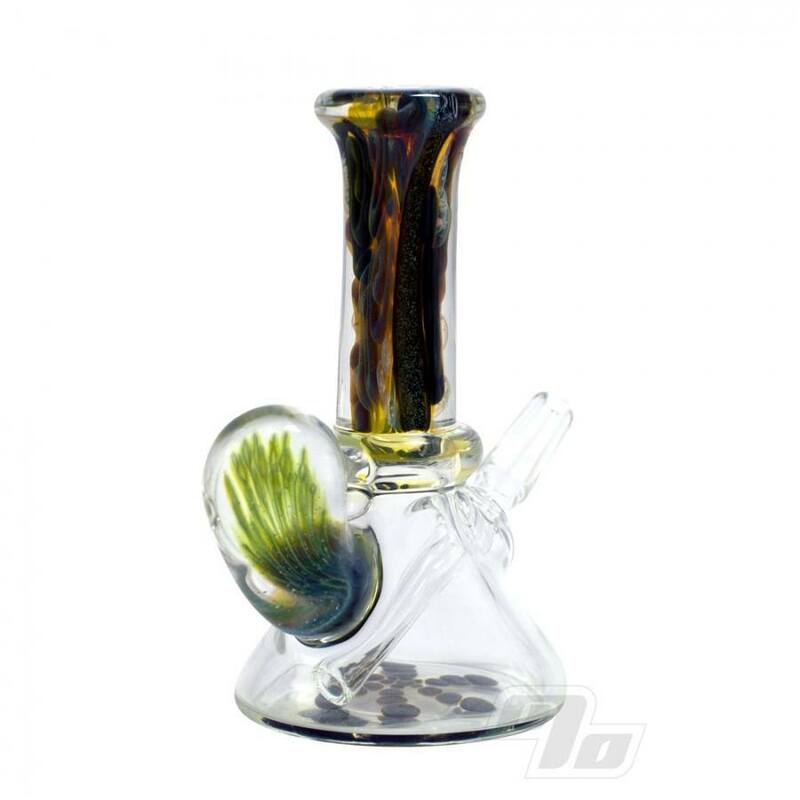 This MTP Glass piece is a one of a kind meaning what you see is what you get. This Mini-Mini oil rig yet super functional piece measures up at approx 4 inches tall and 2.25 inches diameter at base. As MTP likes to say, Smaller = Baller.